AOCI Bible Training Institute (ABTI)  How Was the Old Testament Formed? How Was the Old Testament Formed? by Dr. Denis O'Callaghan, Ph.D., Th.D., D.Litt., D.Phil., D.D. The deity speaks, and his words are recorded. The material is faithfully transmitted. Authenticity in transcription is established by means of blessings for honor and curses for dishonor. Materials are preserved in a sacred place. These essential "canon concepts", then, were "there for the taking" at the time when the Old Testament was being put together and involves no radical innovation or supposition of historical invention. The ancient "canonical" concept appears in its earliest form in the Old Testament in Exodus 17:14 and Deuteronomy 31:24-6, where emphasis is made upon preservation of material as a memorial and as a witness. This is the seed from which an Old Testament canon, or set of established books, grew3. Ideas about the earliest organization of the canon remain purely hypothetical. Some suggest that Ezra and/or Nehemiah were responsible for the first true organization, with Judas Maccabeaus being the one who put an "official" deposit of the sacred writings in the Temple4. The earliest "hard" indication we have of any sort of classification or categorization of Old Testament books  aside from internal Old Testament references to the books of Moses, and assuming that the reference is not a late interpolation, as some do  comes from the Wisdom of Sirach, a book dated to approximately 130 B.C. and written by Sirach's grandson5. The classification scheme refers to the law, the prophets, and the "other" ancestral books. This does not reflect a "fixed" canon of books, merely a basic classification scheme, although it is known that most of what we call the Old Testament today was indeed put into one of these three classes  indicating what Campenhausen calls, at this time, a "normative collection of sacred writings"6 as settled. The suggestion in Sirach is that the "law" and "prophets" were recognized bodies of literature, whereas "other ancestral books" seem to have been more fluid. In particular, the books of Moses are recognized as Scripture as early as the second century B.C., being named as such in the Letter of Aristeas7. At about the same time, though no titles are given, the Book of Jubilees indicates there are 22 accepted books8. The third class, which Sirach calls "other", is to be equated with what was later called the "Writings" or "Hagiographa", and was not as restricted in content as the first two categories until after the time of the Council of Jamnia in the late first century9. Our next evidence of a threefold division comes from the work of the Jewish historian Philo. In his "Contemplative Life", written early in the first century, Philo writes of "the laws and the sacred oracles of God enunciated by the holy prophets, and hymns, and psalms, and all kinds of other things"  perhaps a rough equivalence of Sirach's law, prophets and "other" categories. Again, however, we have no specific catalog of books to work with, nor even a number of books10. A more clear delineation of a threefold division comes from the New Testament. In Luke 24:44, Jesus refers to "the law of Moses, the prophets, and the psalms"  again, showing that while the first two sections seem to be stable, the third section has not yet been clearly defined; and as yet, there is no clear evidence of a "closed" canon for all three sections. "From the death of Moses until Artaxerxes . . . the prophets who followed after Moses recorded their deeds in thirteen books. The remaining four comprise hymns to God and rules of ethical conduct for men." And my personal Old Testament favorite, Ecclesiastes  1 (the 4 instructional books). Leiman argues that Josephus' description here indicates a canon that has been decided upon and closed for quite some time, for he says: "...for although such long ages have now passed, no one has ventured either to add, or to remove, or to alter a syllable." Josephus' Roman readers would have been able to "check out" such an extraordinary claim12. The Bryennius List and the canon of Epiphanus testify to the same number of books, both dated to near the time of Josephus; and 4 Ezra (c. 100 AD) lists 24, likely having Ruth and Lamentations separated13. Often cited as a concrete step in the Old Testament canonization procedure is the Council of Jamnia. But this seems to have been more a discussion group or college confirming what was already known rather than a canon council15. In terms of the canon, the most that Jamnia did was ratify "what the most spiritually sensitive souls in Judaism had been accustomed to regard as being Scripture. "16 In the late second century AD, there is distinct evidence that the Old Testament as we know it is fully formed, albeit with some debate being held over "whether Song of Songs and Ecclesiastes are inspired literature"17 and perhaps some idea of including Sirach18 or excluding Ecclesiastes, Song of Songs, Ruth, Esther, Proverbs or Ezekiel19. However, "on the basis of the available evidence . . . the process of closing the Hebrew biblical canon began during the course of the second century CE and the beginning of the third. "20 There did continue to be some variations in lists of sacred books into the fifth century21, but the core of the Old Testament canon had been well established before that. "The best explanation for the larger collection of sacred writings in the LXX and later in the Christian canons is that the process of limiting the number of sacred scriptures in Palestine among the Jews began after the time when Judaism had a significant effect upon the Christian community...When the Jews of a Pharisaic bent met as a college at Jamnia ca. 90 CE and, among other things, discussed sacred literature, the Christians had already decided to use the wider collection of sacred Jewish writings they had inherited from pre-70 Judaism. George Anderson is no doubt correct, therefore, when he concludes that the third part of the Jewish canon, the Writings, was still imprecise before Jamnia and that it was left up to the churches to carry out the further definition of their Christian canon, and more specifically of the third part of the Old Testament scriptures..."
"How far some of (these books) were accorded a degree of authority in certain Jewish circles cannot now be accurately determined. Undoubtedly there was an interval during which their religious value was being appraised, along with that of some of the later books now included in the third division of the Hebrew canon. "This confusion resulted in a fluctuating Old Testament canon on the part of the NT church. There was a lack of precise settlement in the Jewish community over the third division of their canon  although we note that the other two divisions, the Law and the Prophets, were sufficiently settled." Why establish a canon at all? Rost25 notes that "the Jewish community did not feel the need for a clear definition as to which traditional writings of the fathers were sacred until the first century C.E." This again, perhaps, explains why the Apocrypha was originally included in the LXX: no clear delineation had been made yet as to any sort of specific canon beyond an idea of books as sacred, and of being certain types (law, prophecy). Not until Josephus and his contemporaries does the idea of a canon seem to germinate, although the books of Moses have the weight of a closed "mini-canon," and the prophetic books seem to have such weight also. And now, let us consider the criteria that were used to determine the canon. We see already in Josephus that a chronological constraint has been placed upon books considered sacred. Josephus limits his books to those written between the time of Moses and Artaxerxes  which is to say, the time of Ezra, Nehemiah, Malachi, Zechariah, and Haggai. After that, Josephus observed that "(Jewish) history hath been written since Artaxerxes very particularly but hath not been esteemed of the like authority with the former by our forefathers, because there hath not been an exact succession of prophets since that time." We will lay aside, for our purposes, the issues of whether these books were written in the times that they are supposed to have been, of which we would hold, that they were. The point for now is that the Jews believed that that was when they were written. A similar sentiment is expressed in Tosfeta Sota 13.2, as Rost describes26: "...the Holy Spirit departed after the death of Haggai, Zechariah, and Malachi. Thus Judaism defined the limits of the canon that was and still is accepted within the Jewish community." Once that limit was defined, there was little controversy. Some discussion was held over Ecclesiastes and Song of Songs, but the core and bulk of the Old Testament was never disputed. MacDonald observes, however, that some rabbis disagreed with the assertion made by Josephus and others that prophecy ceased at the time of Artaxerxes, some holding that it extended as far as the time of the Maccabees, or never ended at all27. Truthfully enough, Sirach and Wisdom are the closest in quality to what ended up being canonical; but I would still not judge them to be in the same class as Ecclesiastes. Harris suggests that authorship was a primary criteria for inclusion, in line with the author's deemed "special relationship" with God. Thus, the Pentateuch was an automatic inclusion from its inception, "because of Moses' special relation to God as the prophet of Israel par excellence30." Books authored by genuine prophets  in accordance with the principles in Deuteronomy laid down for determining a false prophet from a true one  were therefore prime candidates for inclusion. Harris notes that this criteria would account for the acceptance of all of the Old Testament books except Judges, Ruth, Chronicles, Ezra, Nehemiah, and Job. David's and Solomon's books, and Joshua would have been included because of their own special relationship to God31. I might add that Job may have been included by attributing it to Moses; Ruth and Judges were probably by the same author as the Samuel books, and Esther is included because it offers the origin of the Jewish holiday of Purim. Now, let us consider briefly some Apocryphal books. Rost our primary source for information, along with Metzger's book on the Apocrypha. They are simply embellishments, and may be dated to the first century B.C. Some parts of this work conflict with the canonical book of Esther. It was probably originally written in Greek32, which takes it further from the events it purportedly describes. Susanna tells how Daniel saves a woman from execution by trapping those who falsely accuse her. Her accusers are punished by "having them thrown from a precipice and struck by a divine thunderbolt." The Prayer of Azariah and the Song of the Three Young Men is an embellishment upon the "fiery furnace" story in Daniel. Bel and the Dragon is a double narrative, both stories focusing on Daniel's cleverness. The first story has Daniel outwitting the priests of Bel, who are ordered slain by the king of Babylon, and their temple destroyed. The second story has Daniel defeating a monster serpent by throwing cakes of pitch, fat and hair into its mouth. Daniel is then thrown into a lion's den, where he lives seven days, being miraculously fed by Habakkuk. This book is allegedly by Jeremiah's faithful scribe, but clearly contradicts the book of Jeremiah itself, inasmuch as it has Baruch present in Babylon during the Exile. Indications are that Baruch was not put together in final form until about 70 AD, although parts of it may be dated earlier. It is notable for "lacking in originality" and was popular in the New Testament Church. This book is a sermon against idolatry. A late date (c. 300 B.C.) and rather clumsy construction makes it impossible to have been penned by Jeremiah. This book contains medical oddities such as the title character going blind when sparrow droppings fall in his eyes, and using the internal organs of fish for medicine. It shows no familiarity with the geography and political situation of eastern Mesopotamia, where the story is alleged to have taken place, and "teems with chronological, historical, and geographical improbabilities and downright errors." It is dated c. 190-170 B.C. A Jewish heroine, Judith, deceives Nebuchadnezzar's General, Holofernes, and assassinates him, saving Jerusalem from certain doom. The book contains a gross historical error, identifying Nebuchadnezzar as king of Assyria rather than Babylon  an error so obvious, may we suggest, that it is intended as a hint to the reader that the contents are not to be taken seriously. It also does not reflect what we know of the General Holofernes. Minor internal evidence dates it after 300 B.C. This book is a mix of verses from 2 Chronicles, Ezra, and Nehemiah, along with a wisdom story concerning three guards who are challenged to decide what is the most powerful thing on earth. All three answer, "wine, the king, and women," but one guard wins by adding to this a fourth, "truth". Metzger says of this book: "the list of repetitions, errors, and inconsistencies of the book is a long one." It was assembled c. 150 B.C and favored by Josephus, who apparently appreciated its superior Greek style. This book contains seven visions written of by Ezra while in Babylon. It dates to the end of the first century AD, and thus obviously cannot have been written by Ezra. This is a book of wisdom, and is considered the most highly esteemed of the Apocryphal literature. It contains nothing in the way of absurdities, but was clearly written around 190-180 B.C. This book is in three parts and 1) shows that wisdom shall be granted to the righteous man; 2) contains Solomon's admonition to the kings to seek wisdom, and how his own wisdom has been beneficial to him; and 3) recounts the actions God has taken in history to deliver His people and punish their foes. Since the work uses Daniel, Enoch, and Tobit, and contains some influences from Greek philosophy, it obviously cannot be from the hand of Solomon, unless the wise king was prophetic as well as wise. This, of course, immediately disqualifies the book for canonicity (though it is doubtful, in any event, whether the attribution to Solomon was meant to be taken literally). It is normally dated between 100 B.C. and 40 AD. It and Ecclasiasticus, however, are quite useful for establishing background data for the New Testament, especially Wisdom theology. The first of this set is a history from Alexander (c. 330 B.C.) to the death of Simon Maccabee (135 B.C.). It is useful as history, but is obviously written too late for canonical inclusion, as were the other three. This one "takes considerable liberties with the actual course of history". There is, therefore, no grounds for including it in the canon. This one recounts events from c. 217 B.C. concerning Ptolemy IV Philopater. This rotten fellow gets in a bad mood when, in response to his desire to enter the inner Temple, a prayer to God sends him into convulsions and paralysis. After recovering in Egypt, he brings the Jews from throughout Egypt into a stadium where he plans to have them trampled by 500 elephants made mad with incense and wine. Ptolemy is thwarted from his purpose thrice: once when he oversleeps, a second when God blanks his memory, and the third when the elephants are turned on his own forces by the appearance of a pair of angels. After that, Ptolemy wisely changes his mind about persecuting the Jews and instead honors them with a banquet  also giving them permission to slay apostate Jews. The last of the set is a philosophical treatise that examines the conduct of Jacob, Joseph, and David, and of Simon the high priest from the Maccabean era. they are of obviously lesser literary quality than the canonical books. A final issue to address is that many Church fathers regarded these books as Scripture, and certain important councils made them part of the Old Testament canon. This is not a persuasive argument for a couple of reasons. The first is that the Church fathers were not Jews and (unless they were considered infallible) did not have any authority to decide what  in what we now call the Old Testament  was canonical. The second is that the word "Scripture" does not mean "canonical" automatically. "Scripture" applies to any written document; so likewise, even a non-canonical document could be regarded as inspired. In that regard it is important to note, as we do in our article on the New Testament canon, that "non-canonical" does not mean "untrue" and we are not by any means prevented from judging a book on its own merits. The canon is more of a convenience than it is a contrivance. For the same reason, it is also beside the point to note that the New Testament alludes to or uses material from these books. In the end the two extremes of those who want to put them in the canon (which in context becomes merely a sort of window dressing) and those who want to ignore them altogether (to the service of fundamentalism or anti-Catholicism) do none of us a service. Actually, this is one we do have. Most authorities regard this as either a copy of Deuteronomy or of the Decalogue [the biblical commandments of Moses]. A full cite should be given from verses 13-15: "They set out from there and camped alongside the Arnon, which is in the desert extending into Amorite territory. The Arnon is the border of Moab, between Moab and the Amorites. That is why the Book of the Wars of the LORD says: '. . . Waheb in Suphah and the ravines, the Arnon and the slopes of the ravines that lead to the site of Ar and lie along the border of Moab.'" This looks to have been no more than a military history book. Why suppose it ought to be canonical? "So the sun stood still, and the moon stopped, till the nation avenged itself on its enemies, as it is written in the Book of Jashar. The sun stopped in the middle of the sky and delayed going down about a full day." Here, presumably, the phrase "it is written" is taken to mean that this book is being quoted as Scripture. Indeed, this phrase does mean a Scripture quote . . . in the New Testament. However, the phrase "it is written" appears only eight times in the Old Testament  four times referring to a known verse/section of the Old Testament, and three times (including this one) to a book that is not. A second, 2 Samuel 1:18, also refers to the book of Jashar. The third is Psalm 40:7. The five Scripture cites occur at Joshua 8:34, 2 Kings 23:21, Nehemiah 8:15 and 10:34, and Daniel 9:13. This is hardly enough to conclude that anytime someone says, "It is written..." in the Old Testament, the reference thereafter is considered Scripture. "Joab son of Zeruiah began to count the men but did not finish. Wrath came on Israel on account of this numbering, and the number was not entered in the book of the annals of King David." Is this citing something as Scripture? This refers to nothing more than the sort of royal annals used by kings of all nations in that time  pure history and records, nothing more. "As for the events of King David's reign, from beginning to end, they are written in the records of Samuel the seer, the records of Nathan the prophet and the records of Gad the seer, together with the details of his reign and power, and the circumstances that surrounded him and Israel and the kingdoms of all the other lands." Again, a clear reference to historical annals  and no indication that this material is considered to be Scripture. Visions of Iddo the seer  ditto. "As for the other events of Solomon's reign, from beginning to end, are they not written in the records of Nathan the prophet, in the prophecy of Ahijah the Shilonite and in the visions of Iddo the seer concerning Jeroboam son of Nebat?" Same thing; how is this being cited as Scripture? If anything, it is saying, "If you want events that are not considered within the purpose of what we have written, check here." "As for the other events of Solomon's reign  all he did and the wisdom he displayed  are they not written in the book of the annals of Solomon?" ...and Iddo the seer  ditto. "As for the events of Rehoboam's reign, from beginning to end, are they not written in the records of Shemaiah the prophet and of Iddo the seer that deal with genealogies?" "The other events of Abijah's reign, what he did and what he said, are written in the annotations of the prophet Iddo." Same thing. Now of course, we did note that prophetic authorship was a possible criteria for inclusion. However, this presumes that the prophet in question is writing something prophetic in nature, not just mundane things like simple histories, as the above probably was. Certainly, Habakkuk's grocery list is not a candidate for the canon. Other examples of this sort of thing: 2 Chronicles 26:22 and 2 Chronicles 33:19 [where the word "seers" is disputed; some manuscripts read a personal name, "Hozai"]. 1	canon n. a collection of books accepted as holy scripture, especially the books of the Bible recognized by any Christian church as genuine and inspired. 2	Vasholz, Robert I. 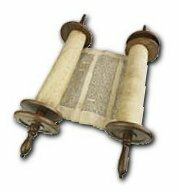 The Old Testament Canon in the Old Testament Church [Vash.OTOT]. Lewiston: Edwin Mellon Press, 1990, pp. 3-4. 3	Comfort, Philip Wesley, ed. The Origin of the Bible [Comf.OrB]. Wheaton: Tyndale House, 1992, p. 53. 4	Miller, John W. The Origins of the Bible [Mill.OrB]. New York: Paulist Press, 1994, pp. 128, 135; and Leiman, Sid Z. The Canonization of Hebrew Scripture: The Talmudic and Midrashic Evidence [Leim.CHS]. New Haven: Transactions, 1976, pp. 27-29. 5	Mill.OrB, p. 18; and Beckwith, Roger. The Old Testament Canon of the New Testament Church [Beck.OTNT]. Grand Rapids: Eerdmans, 1985, pp. 110-111. 6	Von Campenhausen, Hans. The Formation of the Christian Bible [VonCamp.FCB]. Philadelphia: Fortress, 1968, p. 2. 7	MacDonald, Lee M. The Formation of the Christian Biblical Canon [MacD.FormCB]. Peabody: Hendrickson, 1995, p. 29. 11	Rost, Leonhard. Judaism Outside the Hebrew Canon [Rost.JOHC]. Nashville: Abingdon, 1971, p. 24; and Leim.CHS, p. 32. 13	Shanks, Hershel, ed. Understanding the Dead Sea Scrolls [Shank.UDS]. New York: Random House, 1992, p. 301; and Beck.OTNT, p. 119. 16	Metzger, Bruce M. An Introduction to the Apocrypha [Metz.Apoc]. Oxford U. Press, 1957, p. 8. 17	MacD.FormCB, p. 78; see also Leim.CHS, pp. 123, 126. 22	Septuagint (LXX) n. (from the Latin septuaginta, meaning "seventy" and frequently referred to by the Roman numerals LXX) is the Greek translation of the Old Testament and includes the Apocrypha. 30	Harris, R. Laird. Inspiration and Canonicity of the Bible [Harr.IC]. Grand Rapids: Zondervan, 1957, p. 157.